If you browse online, you may read various things about how to prevent type 2 diabetes, with the general advice being: switch to healthy eating, exercise more and lose weight. Sure, these definitely are key goals. But why is that? 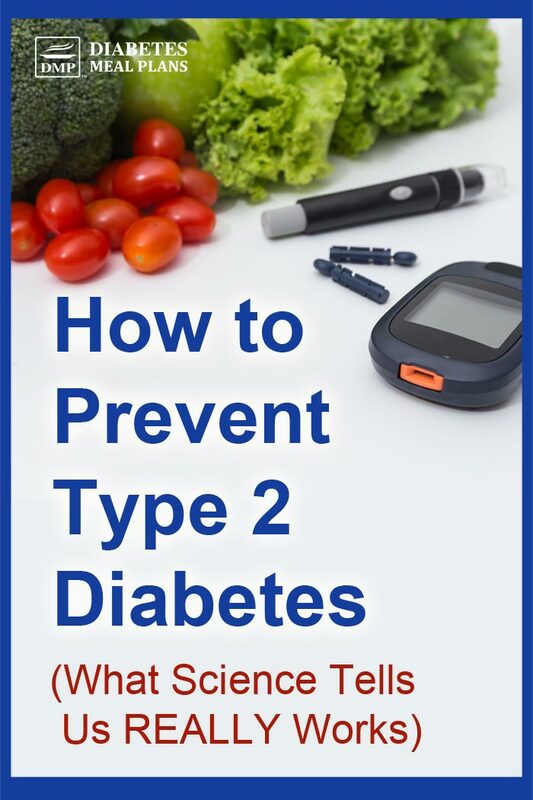 And what specifically should you be doing to prevent type 2 diabetes, especially if you have prediabetes. These are well-known factors in metabolic syndrome – when the bodies metabolism is altered. Therefore, focusing on managing these ‘risk factors’ is a primary goal – with one major goal being blood glucose regulation. These two factors play a key role in effective blood glucose control. The good news is that research study after research study after research study show us that intensive lifestyle interventions are extremely effective in preventing or delaying the development of type 2 diabetes across a variety of populations, more effective than just taking medications such as metformin alone. As you may already know, weight loss can help with the prevention of type 2 diabetes. Because weight gain increases systemic inflammation in the bodies cells and this interferes with cellular and hormonal communication, contributing to the symptoms of metabolic syndrome. This also means that weight gain increases your level of insulin resistance, or on the flip side, decreases your insulin sensitivity. Another group of researchers have shown that losing between 8 and 15 pounds (3.6 to 6.8 kg) can lower your risk of developing diabetes by up to 33%. Similarly, other researchers have determined that each kilogram (2.2 pound) of weight loss is associated with a 33% lower risk of developing type 2 diabetes over a 10 year period. The key though is sustained weight loss because on the flip side, researchers suggest that each kilogram (2.2 pound) weight gain could increase risk of developing type 2 diabetes by 49%. Diabetes Meal Plans advocates for a “low carb” approach to maintaining a healthy weight, which brings us to our next topics… what should you eat? 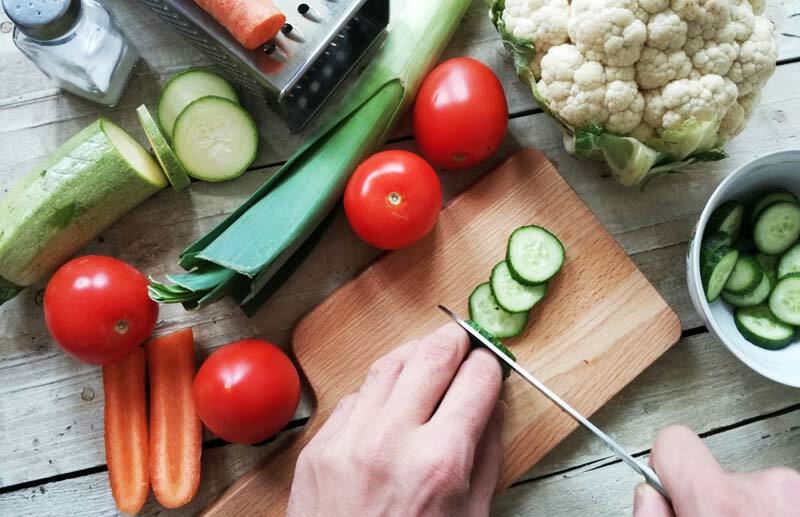 While it's true that prediabetes and diabetes can potentially be managed with various dietary patterns, research demonstrates a lower carb diet as a clear winner, which is why we consistently encourage you to cut out (or cut down on) high carb foods. These are the foods that directly raise blood sugar and A1c, and also impact insulin resistance/sensitivity. And when people with type 2 diabetes and prediabetes do cut these foods down or eliminate them, they are getting great results. However, beyond just limiting your carbohydrate intake, there are some additional nutritional factors to be on the lookout for. A large multi-country study found that people who consume higher amounts of fiber have less risk of developing diabetes, compared to those people who consumed inadequate dietary fiber. And in most cases, people aren't consuming adequate fiber. Instead, we've become accustomed to consuming high amounts of starchy foods – pastas, rice, bread, and potatoes. However, it's no secret that consuming higher carb foods like starches, raises A1c levels more than consuming fiber-rich foods. So making the switch to vegetables, lower carb fruits, and small amounts of legumes is a good idea. Some of the diabetes prevention mechanisms of dietary fiber is their ability to alter gut bacteria. Interestingly, those gut bugs we rarely think about are directly linked to both insulin resistance and obesity. A high fiber diet helps promote more good bacteria, while keeping the bad bacteria in check, and that means better blood glucose control and a healthier immune system too. Along with other non starchy vegetables, nuts and seeds. Omega 3 is an essential, anti-inflammatory, fatty acid important for normal metabolism. And yep- you guessed it, it may also be an important nutrient to reduce your risk of developing diabetes or prediabetes. One of the more common sources of omega 3 is fish oil, but other sources include chia and flax seeds as well as walnuts. Not only can omega 3 fatty acids aid with glucose control, some research even suggests that increasing omega 3 in your diet can help with weight loss. Please pin, tweet or share; then keep on reading! Vitamin D is a fat-soluble vitamin involved in many biological processes, along with playing a role in immune, endocrine, and cardiovascular systems. And it’s thought that vitamin D may help with pancreatic beta cell function and improve insulin resistance. When researchers reviewed the scientific data, looking at associations between vitamin D status and incident type 2 diabetes, they found that those with the highest vitamin D status (>25 ng/ml) had a 43% lower risk of developing type 2 diabetes compared to those with the lowest status (<14 ng/ml). Vitamin D is a key operator in gut barrier function, helping to amplify the tight junction proteins that keep the lining of your intestines strong, and assists with keeping the gut bacteria in balance. And as mentioned earlier, having healthy gut bacteria and function is also linked to insulin resistance/sensitivity. However, if your levels are insufficient or deficient, you will likely need supplements. Work with you healthcare team to properly assess your vitamin D status and replete as needed. Magnesium is a mineral that is needed for over 300 reactions in your body, including the production of ATP (energy) and DNA. So it’s no surprise that individuals who have chronically low magnesium levels are at greater risk for developing type 2 diabetes. Research into the benefits of magnesium is especially promising for individuals most at risk – those who already have prediabetes. In fact, ensuring your magnesium status is in good stead, could reduce your risk of developing diabetes by 32%. Interestingly, magnesium is required to help vitamin D bind to it's transport protein – meaning low magnesium levels are often accompanied by low vitamin D levels. You can also take magnesium supplements to assist with meeting your needs. Read more about magnesium here. Since we already discussed weight loss earlier, it's safe to say we know increasing exercise levels can decrease your risk of developing type 2 diabetes. Physical activity helps to sensitize the cells so they are more responsive to insulin – meaning, your body is less insulin resistant and more insulin sensitive. And as a consequence, this leads to better blood glucose control. The general consensus for exercise requirements is an average 150 minutes exercise per week, or 30 minutes most days. If you’re not exercising much now, start slow and increase your minutes weekly. As far as what activities are best? Both vigorous and moderate-intensity activities have been shown to reduce risk. So something such as walking is acceptable for your activity! Most importantly, just pick something that is easily accessible to you, so that it is convenient and you can do it on a regular basis. Increased stress and lack of sleep are two factors that increase cortisol levels (a stress hormone) in your body. When cortisol is released into your bloodstream, it signals a process that subsequently increases your blood sugar levels. In recent years, it has also become apparent that chronic sleep loss can put you at a higher risk for developing diabetes, and various other health problems! Sleep duration and quality are both incredibly important, as lack of sleep has been shown to reduce glucose tolerance and reduce insulin response to glucose. In particular, work stress has been identified as a key risk factor that increases risk. So if that sounds like you, it may be time to talk to your boss to devise stress-reduction strategies at work! Despite there being limited research at this stage, preliminary studies are beginning to show that stress management techniques such as yoga or meditation may be effective in reducing your risk of developing diabetes. When it comes down to it, there is no one thing that will prevent type 2 diabetes, but a combination of factors that mostly relies on you being proactive about making diet and lifestyle changes. The great thing is, these factors are modifiable – meaning, you can change them and prevent diabetes! Do you need to lose a little weight? Could you consume more nutritious food? Can you add in a little more exercise? Where is the stress coming from in your life and what could you do about it? Starting there will likely reveal some key answers. And every little thing you change can make a big difference! Nice job. Clear, conscise, and complete in presentation of information. Eliminates all the non essential ‘fluff’ and presents all the ‘stuff’ necessary for success in keepintg ‘the dreaded deuce’ (type 2 diabetes and pre diabetes) at bay for life!